Dry cleaning is often reserved for expensive or hard to clean items, but did you know that even comfortwear is a good candidate for a laundry service? Your snuggly sweats and relaxing robes deserve to be treated delicately and cleaned with the highest quality detergents and state of the art technology. Your comfortwear is great at helping you rejuvenate and stay refreshed. Why not return the favor with EcoClean's gentle garment cleaning service? If you're not a fan of laundry, but don't think you can afford a service, think again! EcoClean's garment cleaning service is extremely affordable which makes us a great option for keeping your comfortwear snuggle ready. 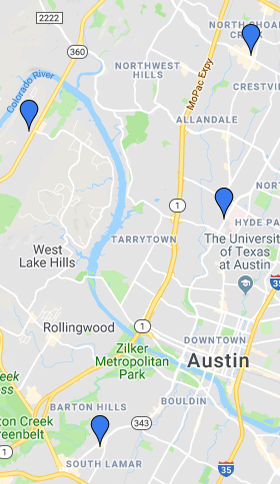 We even offer free pick-up and delivery in Austin so you don't have to go out of your way to freshen up your favorite robe or pair of sweats. In addition, EcoClean's environmentally friendly process never uses harsh chemicals so that your comfortwear retains its shape and never has a toxic smell or residue. Our wash and fold laundry service is an affordable, convenient, and environmentally friendly option even for your comfy clothes!